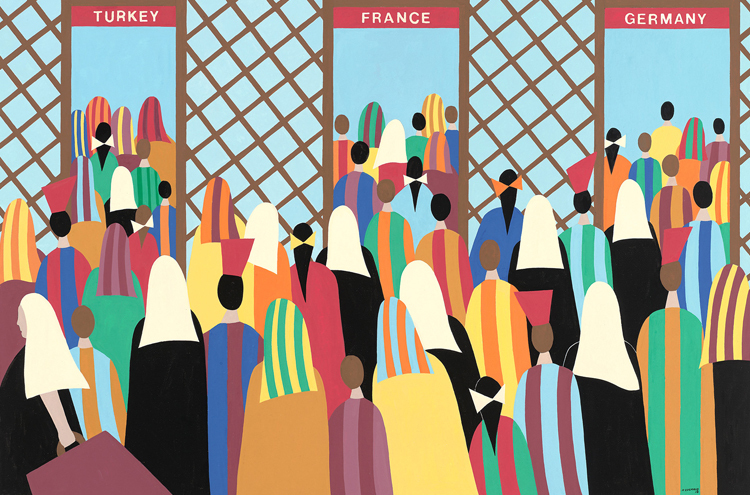 04In the final, 60th panel of The Migration Series, Jacob Lawrence leaves us with the words “And the migrants keep coming.” The story of migration is ongoing; what would the 61st panel look like today? Featured below are some thoughtful responses to this question by local artists. 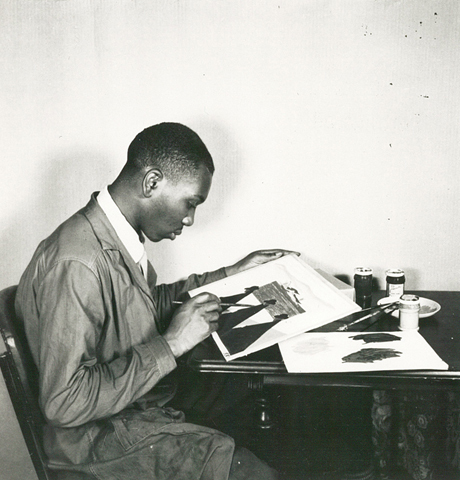 Submit your #Panel61 on our recently launched Jacob Lawrence website. This photograph was captured in from a rooftop in Cojimar, Cuba depicting a migration in progress. 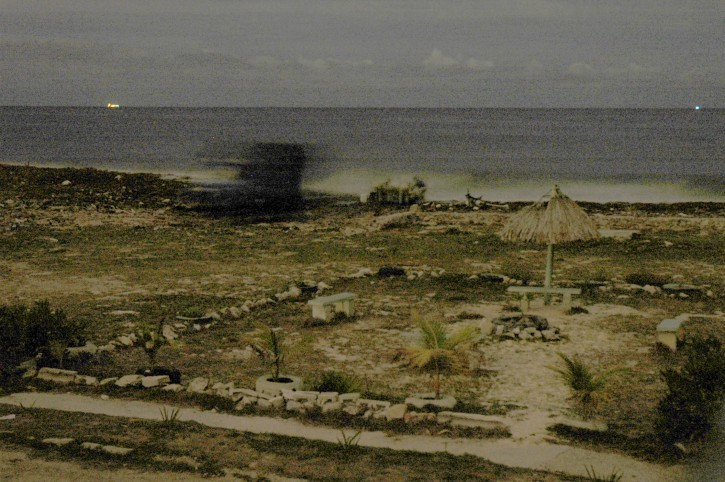 Using a slow shutter speed, it reveals a group of Cuban men after unloading a boat from the back a truck in the middle of the night. The truck is nothing more than a blur as it pulls away to prevent drawing attention from the authorities. The men can faintly be seen launching a small boat into the sea as the waves crash upon the shore. Once in the water they paddled beyond the reef by hand, fired up the engine, and set off to the United States. African Americans migrated North to the cities for safety/opportunity but generations later, some of us are stuck in a stagnant corner, quadrant, or less affluent side of the river of the city because of generations of disappointment, hopelessness, and failure by those more prosperous to network or share their knowledge and success. Doubt is a love letter to the many African American inner city youth and young parents who I work with lacking foundation and natural role models for success in recent memory. I took the latter for granted while growing up. This young man is attempting to board a city bus on a cold day for a job interview downtown. On his way to personal growth and potential greatness, he has to overcome feelings of self-doubt, and any negativity from others that may be discouraging. Hopefully he can remember a kind word or thought to overcome his doubt and get on that bus. You might say that I am the embodiment of the migration experience. My grandfather, grandmother and their son, my father, left North Carolina to seek a better life in Philadelphia, searching for work created by the growing need of manufactured goods, as well as service to our country in the armed forces. 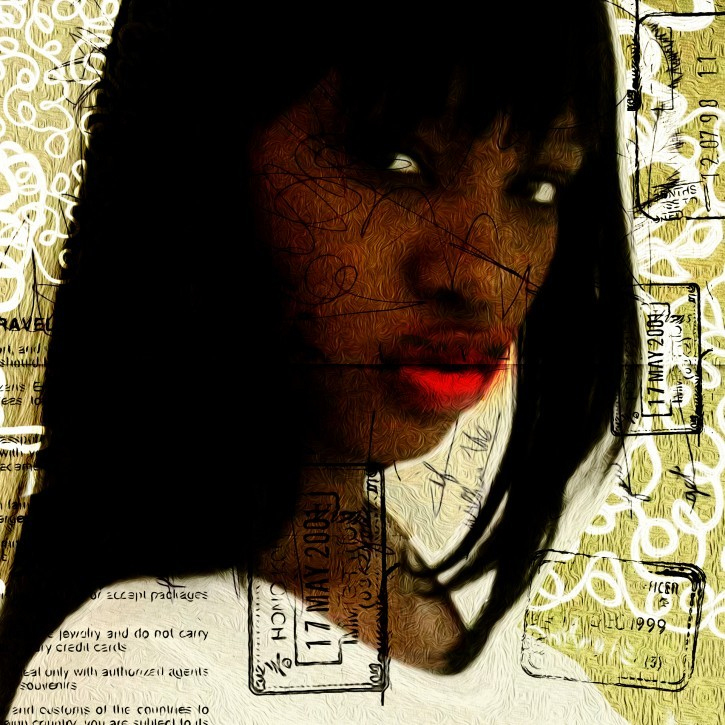 Documentation was always at the center of their lives. 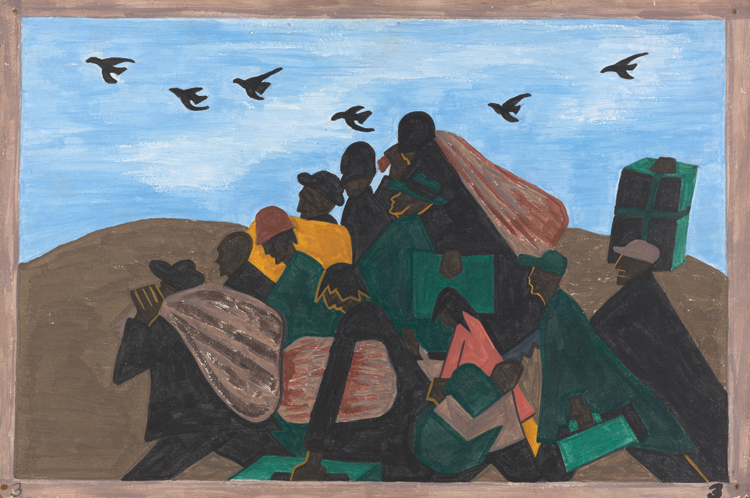 In the final, 60th panel of The Migration Series, Jacob Lawrence leaves us with the words “And the migrants keep coming.” The story of migration is ongoing; what would the 61st panel look like today? 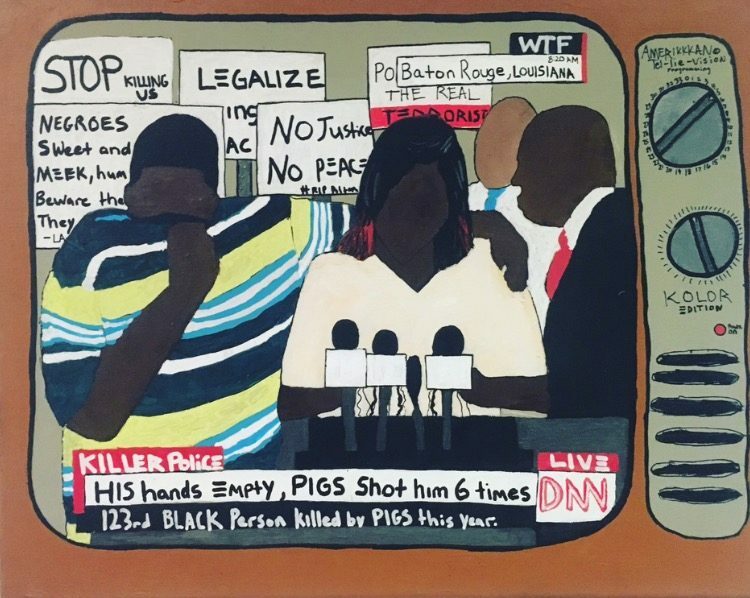 Featured below are some thoughtful responses to this question by local artists. 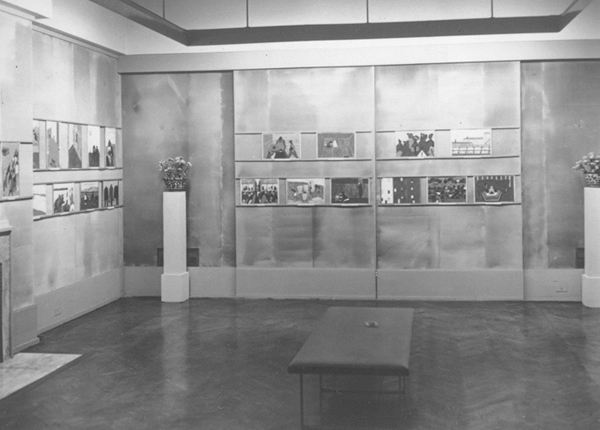 Submit your #Panel61 on our recently launched Jacob Lawrence website. “For the past five years, I have been focusing my work on the Arab Spring. In 2010, I had my first trip back to the Middle East since having been evacuated from Beirut, Lebanon in late 1975. I went to Lebanon, Syria, and Jordan. I saw where my father was born in Damascus, Syria. As the months have dragged on, initial hope has turned into war and mass migrations that have resulted from the war in Syria. 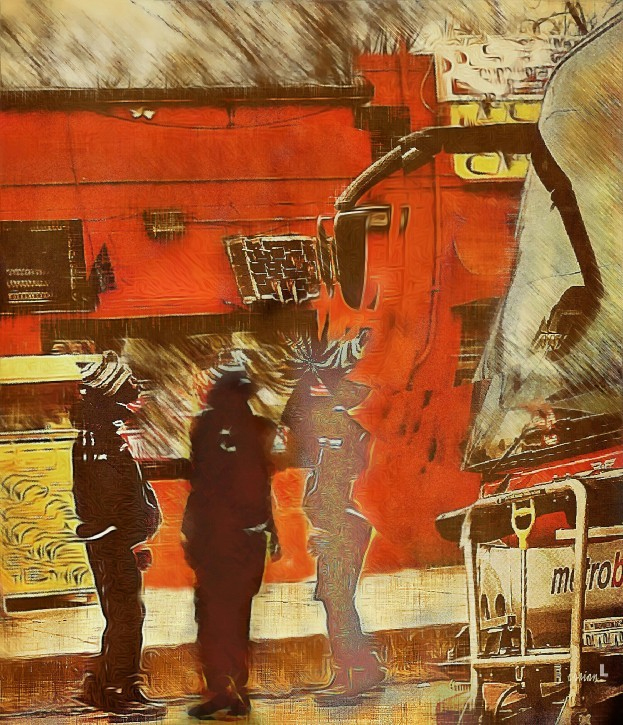 Focusing on women and children, the most vulnerable of victims, I also address the current anti-immigration sentiment that seems ever-growing globally. The calls to build a wall to keep them out, or to keep them imprisoned in refugee camps. I focus on the bias and negative stereotyping that this wave of refugees, mostly from Syria, seeking safety, has brought to much of the Western European countries and America.